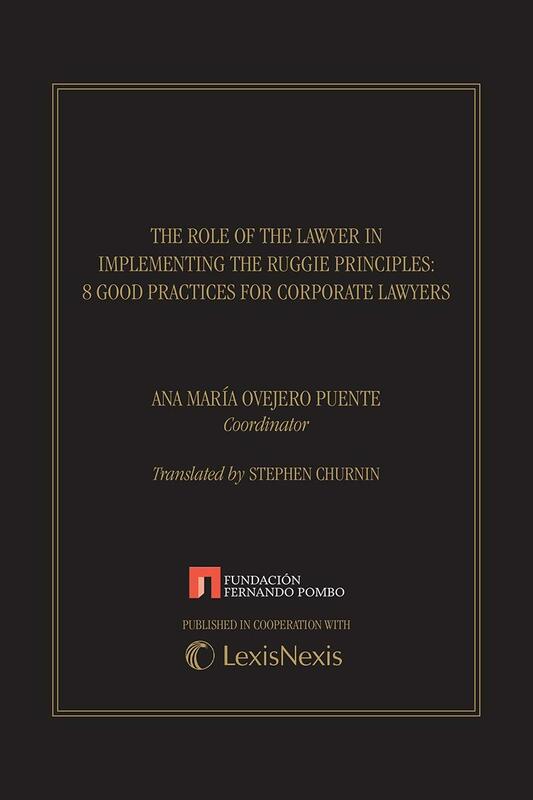 The Role of the Lawyer in Implementing the Ruggie Principles: 8 Good Practices For Corporate Lawyers focuses on the implementation of the United Nations Guiding Principles on Business and Human Rights so that corporate lawyers gain a complete understanding of the Ruggie Principles and what they require for their clients and also with respect to their own conduct. The role for business lawyers is changing and evolving towards a new professional paradigm. It is a new age for the conception of legal assistance and legal consulting activities in the XXI century: a new concept for legal services and clients representation, that integrates well-known criteria as "due diligence interpreted from a different perspective". The new "compliance duties" for companies are transforming step by step how to conduct business. The ethics in business theories are key instruments in this transformation and United Nations’ initiatives, as the Business and Human Rights movement, have boosted it. The lawyer of the future should assume its ethical and professional duties, accordingly with its social responsibilities and social leadership. Consequently, internal codes of conduct and deontological rules redefine the professional obligations and entail a new commitment of public service to which all lawyers are called to professionally. It means a different definition for the legal profession itself: the lawyer as an actor and servant of justice, of the Rule of Law, and human rights. The United Nations Guiding Principles--and the obligations of respect assumed by companies--acquire an enormous relevance, because they determine the basis for a new healthy client-lawyer relationship, based on its compliance with the Ruggie framework for business. The UN's Ruggie Principles impact the definition of these ethical obligations by defining how the lawyer should be with the client. 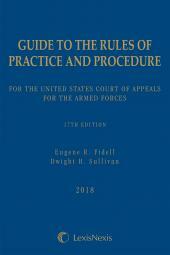 The UN Guiding Principles should be read in a manner compatible with the ethical obligations of the legal profession, and in the same way, professional ethical codes should be reinterpreted in the light of the fundamental role played by lawyers in defending the Rule of Law and the respect of human rights. The conclusion is that the fundamental role of lawyers is the pursuit of the Rule of Law, which undoubtedly involves their proactive action in the defense and respect of human rights when exercising their profession as business lawyers. It complements the traditional and exclusive interpretation of the social function of the lawyer as a servant of justice, and encourages the assumption of their leadership in the transformation of ethically responsible businesses. 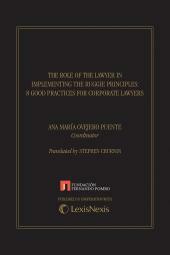 "The Role of the Lawyer in Implementing the Ruggie Principles: 8 Good Practices For Corporate Lawyers" focuses on this implementation of the UN's Guiding Principles on Business and Human Rights and provides detail for business lawyers to gain an understanding of these Principles and what they require for their clients and also with respect to their own conduct.  Ana Maria Ovejero is Doctor in Law by University Carlos III of Madrid (2004), Master in European and International Law by the University of KU Leuven (Belgium), Master in Political Science and Constitutional Law by the Spanish Political Constitutional Law Center and Master in advocacy practice by ICADE (U. Comillas). Before coming to Laureate, she worked as a Junior research associate at the U. Complutense and as associated professor at UC3M. Ana served as Director of the Cabinet of the Ministry of Justice, being responsible of parliamentarian affairs and institutional relations with EU Justice and internal affairs council (JAI). From 2010 to 2013, she combined her academic activity with the practice of advocacy, being member of The Spanish Electoral Commission for general elections (Junta electoral Central). She is member of the Madrid Lawyers Bar since 1995. She joined Laureate Institutions in January 2013 as Head of the Social Responsibility and human Values Research Center at UEM. Since February 2016 she is Vice Dean at Business & Law department, at Social Science and Communication School. In October 2016, she got the role of Full professor in Law. Ana has taught Constitutional Law and compared political systems and has authored and coauthored more than 30 peer-reviewed publications and 40 presentations on research in Human Rights issues, equality and gender integration, and recently in ethical business and globalized systems. She has been award recently by the Barcelona Bar association Degá Roda Ventura Prize for the best legal monograph of the year. She has also been Academic Advisor of Fernando Pombo foundation, working with ABA and IBA as external academic consultant. She has participated as a member of a different research team in National and international competitive projects, as well as Cooperation projects funded by the World Bank. In the last 4 years, she has been visiting professor in Harvard (USA), in University of Bilgi Istanbul (Turkia), and in L'Institut de Recherche en Droit International et Européen de la Sorbonne (Paris. France). 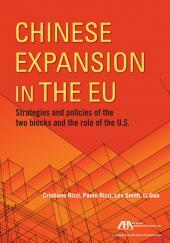 Chinese Expansion in the EU: Strategies and Policies of the Two Blocks and the Role of the U.S.